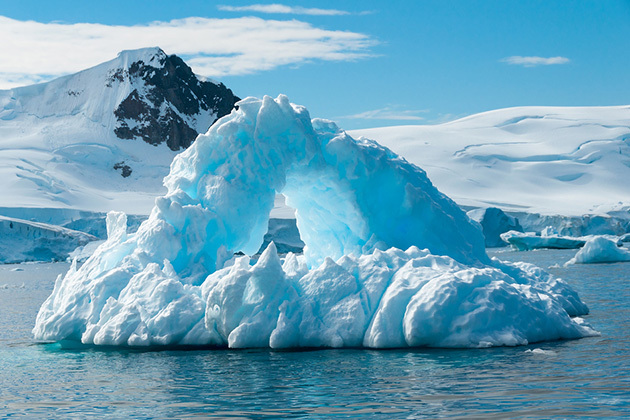 Antarctica is the last untouched continent, making it a desirable destination for the intrepid traveler. It has no indigenous people, no politics and no economy, yet it covers almost 10 percent of the earth's surface -- making it 1.5 times the size of the United States. Overwhelming and awe-inspiring, it has a raw, emotional effect on visitors that few destinations match and is often described as "visiting another planet." Still, only 35,000 tourists visit each year -- a small number compared with Alaska's 1 million cruise visitors. The history of Antarctica's exploration includes Robert Scott and Roald Amundsen's famous race for the South Pole, as well as one of the greatest survival stories of all time. In 1914, Sir Ernest Shackleton and his crew set sail aboard Endurance on a quest to be the first to cross the southernmost continent over land. They abandoned their attempt when the ship was trapped in sea ice, but incredibly, thanks to Shackleton's courage and determination, all crewmembers survived. Today, cruise ships visit just the tip of the iceberg compared with the voyages of the great explorers. Most ships travel just to the South Shetland Islands and the 1,000-mile-long Antarctic Peninsula. (Fewer passengers reach South Georgia, located 800 miles to the northeast of the peninsula, and only a handful venture deep into the Ross Sea on the other side of the continent.) Typically, one-third of all visitors come from the U.S., with Australian travelers ranking second and Chinese tourists third. U.K. and German adventure-seekers follow closely behind. 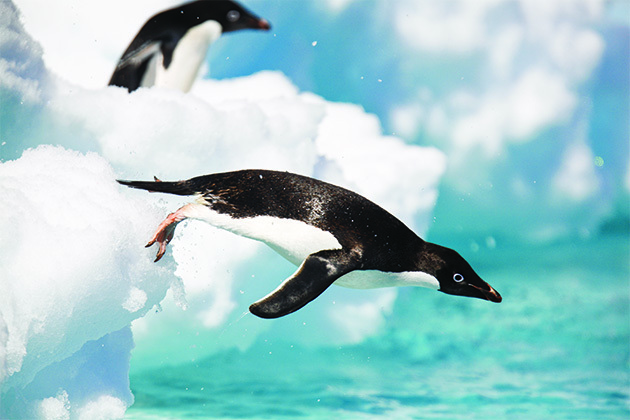 For wildlife lovers, few destinations can match "The White Continent." Of course, everyone comes to see the penguins, which thrive in raucous colonies that may consist of tens of thousands of birds. 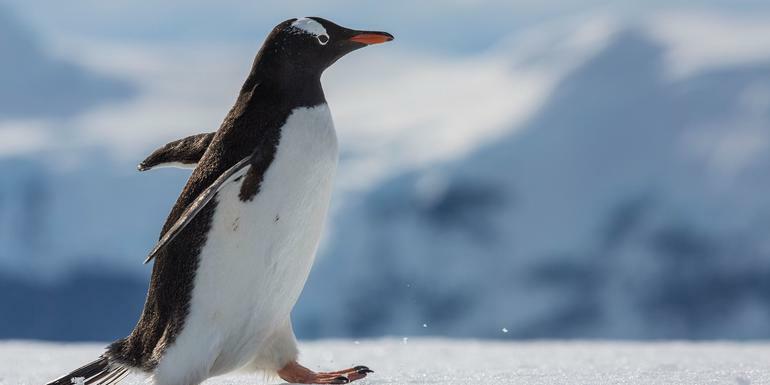 Three types of penguins -- chinstrap, gentoo and Adelie -- are all common along the peninsula. Larger, and arguably more beautiful, king penguins are rarely seen on the peninsula but are found in vast colonies in South Georgia. Sightings of emperor penguins, which can reach 3 feet tall and weigh more than 80 pounds, are unlikely, although occasionally they can be found near the Weddell Sea or on ice in the far south of the peninsula. Many other creatures thrive there, too. 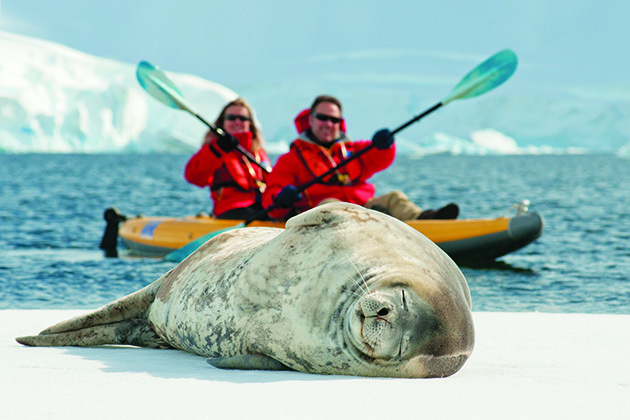 Antarctica has a large concentration of marine wildlife, with six species of seals and at least nine types of whales. Seals are commonly found on the beaches and lazing on ice floes, and you'll commonly spy humpback whales and killer whales in the height of the summer. The cute penguins aside, many visitors leave with their most vivid memories being the abundant ice and remarkable scenery. Icebergs come in a variety of shapes and textures -- some stark while, others a deep, mournful blue -- and huge glaciers line the horizon. Most impressive are the immense tabular icebergs that break off from frozen ice shelves in huge chunks. Sometimes stretching for miles, they are imposing and powerful reminders of the vastness of the continent itself and the unmatched power of nature. The Antarctic summer and cruise season begins in November and ends in March. No tourist ships visit in the austral winter, when pack ice extends more than 620 miles around the continent and it is dark almost all day with temperatures rarely exceed freezing. South Georgia's climate is milder, and the season stretches from mid-October until March. Many visitors prefer to come in mid-October or November, before aggressive fur seals take over the beaches and while the massive bull elephant seals can be seen in large numbers. Antarctic travel began in the late 1960s when Lars-Eric Lindblad pioneered commercial expedition travel. For a few decades, only a handful of specially built ships ventured south. In the 1990s, expedition cruising began to boom, and today, you'll find a variety of ships, sizes and prices. Size is the most important factor in choosing your type of experience. 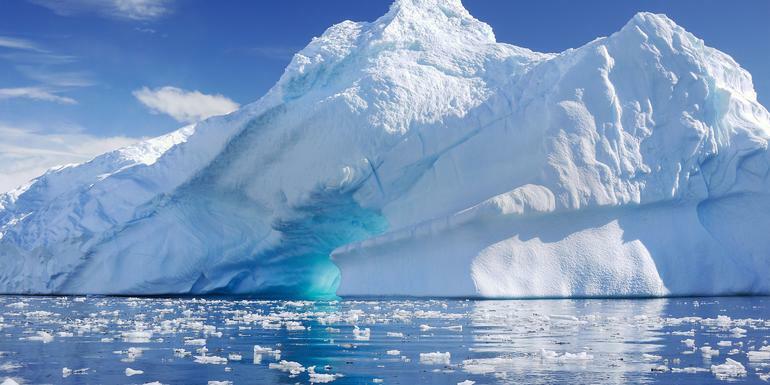 IAATO (International Association of Antarctica Tour Operators) guidelines dictate that ships carrying more than 500 passengers cannot land passengers ashore. Most expedition ships, however, are much smaller, carrying fewer than 200 passengers and utilizing inflatable landing craft (usually Zodiacs) so that passengers can venture off the ship to set foot on land. The smallest vessels are run by lines like Aurora Expeditions, Oceanwide Expeditions and Antarpply Expeditions, while the more well-known sailings tend to be on the mid-sized ships of HurgrutenZegrahm Expeditions, Lindblad and Quark. With the strong interest in Antarctica, the traditional image of an expedition ship -- with an ice-strengthened hull and utilitarian appearance placed above creature comforts -- has given way to a more refined and luxurious product sends its Silver Explorer every year, and Ponant makes voyages with its Le Boreal-class ships. Even Seabourn has entered the market, sending the specially outfitted Seabourn Quest each season. Classic Antarctica: Most expedition ship itineraries last nine to 12 nights and visit the South Shetland Islands and the Antarctic Peninsula. South Georgia and the Falklands: Sailings from 15 to 22 nights on expedition ships add the Falkland Islands, where you can visit large albatross colonies and learn about the 1982 Falklands War between Argentina and Britain. The voyage continues on to the wilderness mecca of South Georgia, where you can watch four-ton elephant seals battle on beaches, and history buffs can pay respects at Shackleton's grave. Around Cape Horn: In the large-ship, conventional cruise category, the journey to Antarctica is usually a six-night portion of a two-week around-the-horn South America cruise. Remember, you won't have the opportunity to get off the ship in Antarctica. No matter what ship you choose, where you go depends on weather conditions. If it's too windy and dangerous to land the Zodiacs at one spot, the captain will sail to another landing. The idea of a scheduled itinerary with defined port calls simply doesn't exist in Antarctic cruising. Whether you choose a large or a small ship from South America, there's almost no getting away from sailing across the notorious Drake Passage -- roughly 36 to 48 hours of often choppy seas and gale-force winds. There's a reason it's called expedition cruising. The area is nicknamed the Drake Lake on calmer days and the Drake Shake on wilder days. Come prepared with a supply of seasick patches, but remember that Antarctica is well worth a few days of discomfort! For those who just can't stomach the idea of the Drake Passage, Quark Expeditions and Antarctica XXI offer options to fly to and from the South Shetlands and pick up your ship in Antarctica. 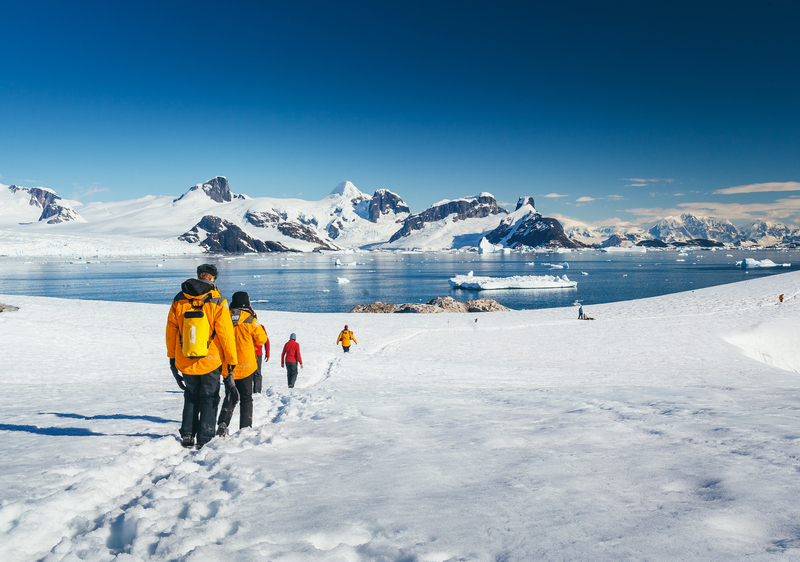 Antarctica XXI offers sailings as short as four nights. Be aware, however, inclement weather can sometimes delay flights. 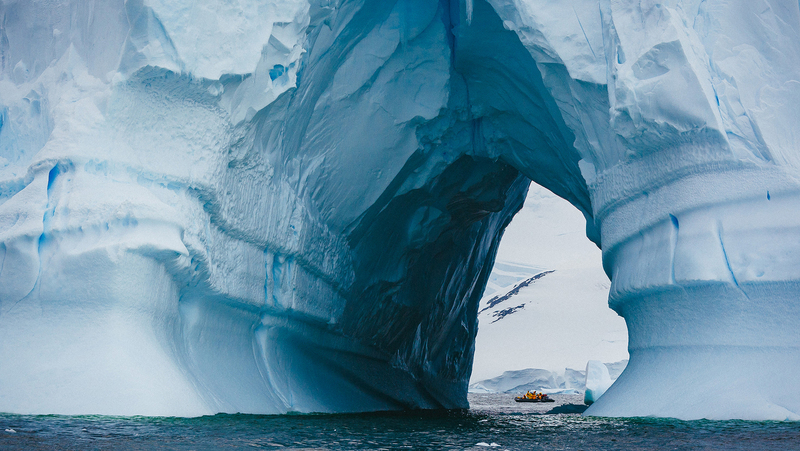 Antarctic landings are unlike anything you will experience on a regular cruise. There are no cafes, no shops, no towns and no people, except at a handful of research stations. Deception Island. An active volcano with black ash, Deception Island is one of the most popular landings, and when arriving through Neptune's Bellows -- a 200-meter-wide gap in the wall of the caldera -- it's easy to see why. On the shore is an abandoned British Antarctic survey base and crumbling boilers from a Norwegian whaling operation. It's a great hiking spot, and from the higher peaks, you may be lucky enough to spot a pod of humpback whales in the sea below. The volcanic activity means a trickle of warmer water can often be found -- prompting many visitors to jump in for a (very quick) swim! Elephant Island. Habitat for chinstrap and gentoo penguins, this is where Shackleton's crew was stranded while he took five of his men in search of help. The men were eventually rescued from the island but only after spending a grueling winter there. Landing at the campsite is almost never possible; if conditions are good, expect a Zodiac cruise around the area instead. Port Lockroy. A British station on Wiencke Island was secretly established by Prime Minister Winston Churchill during World War II to report enemy activity and provide weather reports. Now, the rustic building is like a time capsule from the 1960s, complete with original tins of food in the kitchen and peeling painted pin-ups in the bedroom. Managed by the Antarctic Heritage Trust, it is manned and maintained by a small team each summer. The building is part museum and part shop, so get your cash ready. There's a great selection of souvenirs, and you can even send a postcard. Half Moon Island. This crescent moon-shaped South Shetland island is the site of an Argentine research station, and you'll find the wreck of an old wooden whaling boat on its shores. It is home to a large chinstrap penguin colony, as well as nesting Antarctic terns and kelp gulls. You'll also find fur and elephant seals lazing on the beach or ferociously fighting in the surf. The Lemaire Channel. This is one of the most spectacular and photographed waterways on the planet. It's obvious why it is nicknamed Kodak Gap as you glide through clear sapphire seas among mountain peaks capped with pristine white snow and ice-blue bergs. This is not a landing, but the Zodiacs may be lowered for seal-spotting and taking photos of the ship. Day tripping. It is possible to visit Antarctica for a few hours without going by sea. On a limited number of South American cruises, such as Victory Adventure Expeditions, you can book shore excursions (weather permitting) from Punta Arenas, Chile. Flights are 2.5 hours each way, and you can spend approximately four hours on King George Island in the South Shetland Islands. You won't get to see all the amazing scenery that you would on a cruise, but you'll still have opportunities to see penguins and get significant bragging rights. 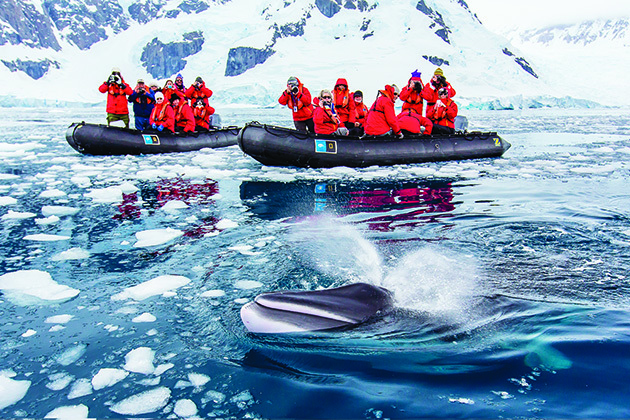 Crystal Cruises offers a similar excursion departing from Ushuaia, Argentina, and including an overnight at a Chilean base. The excursion costs $13,965. Extending your trip. One night isn't nearly enough time to explore the vibrant departure cities of Buenos Aires and Santiago. It pays to add a few days -- or even a week -- on your own. You won't regret it. What to pack. Essential clothing for Antarctica includes a winter coat (although many companies provide complimentary parkas), waterproof trousers (to keep you dry while riding in a Zodiac), two pairs of warm gloves (again, one to keep dry when the other pair gets wet) and a wool hat. You will also be lost -- not to mention wet and cold -- without a pair of knee-high rubber boots (for all landings). Several companies team up with Ship to Shore Traveler to allow passengers to rent essential gear such as trousers, boots and walking sticks, so check with your cruise line to see whether that is an option. You'll also need thermal underwear, heavy socks, sweaters and wool pants or sweatpants (to wear under your waterproof layer). If you find that buying all this gear adds up, you can either rent it from a snow-and-ski or adventure store or order it online from Antarctic Equipment in Ushuaia to pick it up before you embark. Even if you are not a keen photographer, it's worth investing in a decent camera to capture what could be the most spectacular scenery and wildlife you will see. And if you have them, take binoculars. You won't need hiking boots, as you will always go to shore in your rubber boots. A waterproof backpack to carry photography gear in the Zodiac is also recommended. Travel responsibly. 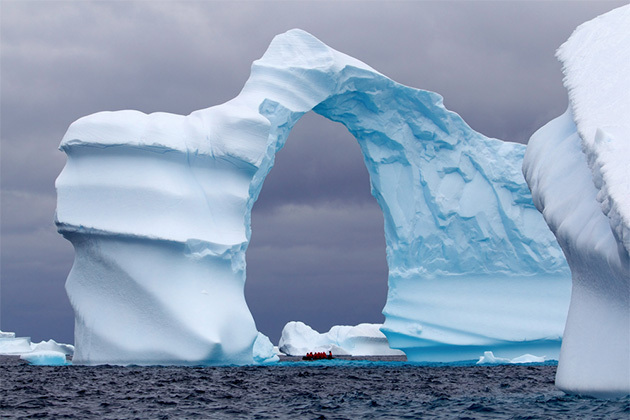 IAATO (International Association of Antarctic Tour Operators) is an organization founded to advocate, promote and practice safe and environmentally responsible private-sector travel to the Antarctic. The continent is still unspoiled, and it's vital to keep it that way. So, before you go, clean and examine clothes and equipment thoroughly for dirt and other organic material.